While Bangladeshis are quite familiar with movies from Hollywood and Bollywood, good cinema from other parts of the world do not get much exposure apart from a handful of foreign films at the DVD stores or when they are shown at various foreign cultural centres. But these sources only provide a miniscule glimpse of the richness of films made in other countries. Moreover, they cannot give the 'big screen' experience that most people crave for. Only an international film festival can create the opportunity for the local film lovers to watch contemporary films of the world on the big screen. Since many internationally reputed filmmakers and critics come to attend such festivals, these festivals work as a bridge between local filmmakers and foreign delegates. This year's Dhaka International Film Festival has been a whirlwind tour of the global cinema experience. All over the world international film festivals are named after the name of the cities where they take place. Following the trend of festivals organised in Cannes, Toronto, Berlin, Cairo, Tehran, Dubai, Kolkata and other cities, Dhaka International Film Festival started its journey in 1992 initiated by a film society with the aim to screen quality movies from all over the world. While it is the government of the particular host country that organises the festival, in Bangladesh it has been regularly organised by Rainbow Film Society, which has been dedicated to the promotion of a vibrant cine culture in Bangladesh and in celebrating the global mainstream in film and its social relevance since 1977. For almost two decades the festival has been helping in shaping an increasingly healthy film culture in the country. Within 17 years, Dhaka International Film Festival (DIFF) has attained international recognition. With 66 countries participating, the festival simultaneously screened 190 films from January 14 to January 22 in three venues. 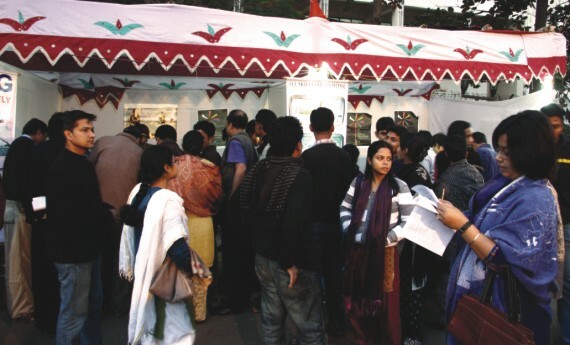 Prime Minister Sheikh Hasina inaugurated the festival on January 14 at the National Museum. The theme of the festival is “Better Film, Better Audience, Better Society.” Rainbow Film Society in association with Embassy of Royal Netherlands, Embassy of France, Embassy of Switzerland, GMG Airlines, Religion Today Film Festival and SIGNIS organised the festival. Like any other international film festival, DIFF also has a competition section and other segment categories such as "Retrospective", "Tribute", "Cinema of the World","Children's Film", "Focus", "Film from Africa", "Bangladesh Panorama", "Women Filmmakers", "Independent Films Section" and "Spiritual Films Section". 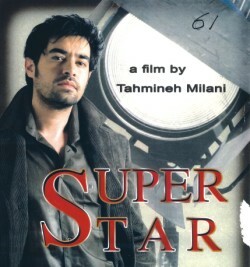 The festival had a competition section for Australian and Asian cinema where 17 movies including two Bangladeshi films-- Third Person Singular Number and Gahine Shobdo-- participated. Most of the movies of this competition had the potential of winning the award. "Nobody can definitely say which film may attract the audience," comments chairman of the jury Saeed Akhtar Mirza, an eminent filmmaker from India. "Nine out of 10 movies of the Bollywood film industries are flops. These films leave no memory on the audience. If the film has a serious intention and the director makes it seriously, it becomes a quality movie. I judge a film by the commitment of the director to his work. I believe dedication and commitment of the director to his or her work is the key factor of making a quality movie,"
The name of the winners of the competition selected by an international jury board will be announced today at the closing ceremony. The award includes a crest, certificate and a cash prize of Tk. 100,000 for the best film. The international jury committee will also select one Best Director, Best Actor, Best Actress, Best Music Director and Best Cinematographer. These awards consist of a crest and certificate. Moreover, there are awards for Best Spiritual Movie, Best Women Filmmaker's Movie and Short and Independent sections. The festival had two retrospective sessions. Six movies by French filmmaker Jacques Demy, who has developed his own style of dealing with fairytales with light, colour and music, were screened in his retrospective session. The films were: Jacquot de Nantes, La Baie des Anges, Les Demoiselles de Rochefort, Les Parapluies de Cherbourg, Lola and Peau d'Âne. Another retrospective session included in the festival was internationally acclaimed Iranian filmmaker Rasoul Sadr Ameli. Ameli came to participate in the festival with his four movies "Every Night, Loneliness", "I'm Taraneh", "Last Night I Saw your Dad Aida" and "The Girl in the Sneakers"
This year's tribute section was dedicated to eminent Indian parallel moviemaker Saeed Akhtar Mirza, who won national award as the best director and screen playwright for his movie Naseem. His four movies Albert Pinto Ko Gussa Kyon Aata Hai, Mohan Joshi Hazir Ho!, Naseem and Salim Langde Pe Mat Ro were screened in the section. Eminent American filmmaker Bob Hercules, an award-winning producer/director and co-owner of Media Process Group, a Chicago-based production company, also came to attend the festival with three films: The Road To Haymarket, Forgiving Dr. Mengele and Senator Obama Goes to Africa. His movies were screened at the special section. Many foreign film directors came to attend the festival with their latest movies. French filmmaker Isabelle Millard participated at the Women Filmmakers section with her latest documentary Sundarbans, Silence Islands. "While I was shooting the documentary I heard about the festival and wished to screen it in the festival," says Isabelle Millard, who developed her skill as a filmmaker under legendary French makers such as Jean-Jacques Annaud and Jean-Daniel Pollet, says, "This documentary has good luck. It was screened in major French TV channels many times and participated in festival in Switzerland, Tunisia, Spain and Turkey. The documentary features the struggle of the people living in the Indian part of Sundarbans." Five films spanning the period from 1956 to 2009 were selected for the Bangladesh Panorama. Participating movies under the category were; Aha ! Amar Ache Jol, Ayna, Chandragrohan and Gangajatra. And of course, the festival created opportunity for movie lovers to watch African movies, Latin American movies, European movies, Asian movies, American movies and Australian movies dealing with diverse themes. The festival created opportunity for the local viewers to watch films from 66 countries of the world. It is true that usually non-commercial films participate in such festivals, which are labelled as 'alternative', 'parallel', 'art', independent' and do not always attract masses, though such movies deal with the problems of masses. It is also true in case of Dhaka International Film Festival. A moderate number of audiences attended this year's festival. Those who went to watch movies at the festival were basically film movement activists or involved with the sector. And some complained that they were not satisfied with the selection of movies. "I still remember a few movies such as M for Mother and Trees that I watched in the 10th session of the festival in 2008," says Shiblee Noman, a film movement activist, who watched most of the movies. "In this session we did not find such striking films. It's true that there were some quality movies such as Angshumaner Chhobi and Super Star, however, more number of quality films are expected to participate in the festival." The organisers however claim that this year's arrangement was better in terms of number and standard of movies. "During the last one year a preview committee watched hundreds of movies and selected only aesthetically rich films," claims festival director Ahmed Muztaba Zamal, "Actually the problem is lack of financial support. We had to pay four lakh 80 thousand taka to the censor board for censoring. Since we are going through a financial crisis, we could not take initiatives to draw much attention of the public. However, we are satisfied with the attendance but we could do even better, if we got support from other sectors, especially from the media. "Arranging foreign films is not, actually a problem for us. Over the years we have developed a strong network across the world and we get enormous support from other international film organisations and from foreign delegates, directors and producers as well. However, we don't get much support in the country. Ironically, an influential group always try to create problems during the arrangement." Zamal, however, claims that despite so many obstacles the Dhaka International Film Festival has attained enormous popularity all over the world. "Success of a festival is determined by the diversity of the participating movies and the number of delegates and their background. Considering the festival as the best of its kind as many as 60 delegates wished to participate at the festival. Due to financial constraints we could only invite 35. However, we screened movies free at one hall to attract more audience." Dhaka International Film Festival also included a series of seminars by international speakers, publishing of four page coloured bulletin and a cine workshop besides regular movie screening, says Zamal. Dhaka Cine Workshop 2010 continued from January 16 to January 21 for aspiring young filmmakers, film critics and journalists. Eminent film director Badal Rahman was the workshop director. "The workshop was an intensive weeklong academic exercise with creative professionals from diverse fields of the film industry as speakers and moderators, says Badal Rahman, "Three foreign film experts and I took part in the interaction session with the participants. We are planning to give it an international shape. We will approach Berlin International Film Festival Organisers with the output of the workshop to take permission from them to make the workshop an international standard talent campus. So that we get participants from the foreign countries and the participants of the this talent campus can also take part in the European talent campuses." Foreign delegates have had good things to say about the festival arrangements. Some of them compared it to other major film festivals of the world due to the volume of films shown. The inclusion of the 'women filmmaker section' and 'spiritual film section' they said gave the festival a uniqueness. "It's my first visit to Dhaka," says Saeed Akhtar Mirza, " I feel honoured being a part of this festival. I was amazed to know that a film society has initiated this festival, not the government nor other big shots, where over 150 films from 66 different countries are participating. It's like a dream. And I always love to be a part of such dreams. Whenever the organisers approached me that they wanted to run a tribute section with my films, I accepted the offer. I've preferred this festival to attending the Berlin festival, which is an act of solidarity to their initiative. Festival of this kind always attracts me since it brings people together." UK based film reviewer Peter Malone, who was also the former president of Signis, an association of world catholic communication, visited three times Dhaka to participate in the festival. "It's a very rich festival in terms of number of movies and subjects. Like any other international well-reputed film festivals, Dhaka International Film Festival has a broader perspective and diverse sections including spiritual film, cinema of the world, Asian film, African film and many. We are a part of the festival in this sense that we help the Bangladeshi organisers to collect movies and give award for the best spiritual movie section," he says. "The festival also promotes Bangladeshi movies in the sense that the foreign delegates watching good Bangladeshi films in the festival can recommend them to participate in other festivals. For instance, I really enjoyed the Bangladeshi movie Ghani in the last Dhaka International Film Festival that won an award. Subsequently I recommended the movie in another festival." Chairman of the Jury of Women Filmmakers section Lotika Padgaonkar says that globally, women are backward in terms of making movies. "It's true that a remarkable numbers of Iranian women film directors have attained popularity, however, the number is frustratingly low in other countries, which have rich traditions of cinema. Even in the US, there are very few women makers. In Japan there is no single women filmmaker. Inclusion of this section in the festival will encourage women filmmakers." Eminent Indian film critic Latika Padgaonkar, who has a thorough knowledge on the trends and history of Asian cinema says, "Many Asian films are winning awards participating in all the prestigious film festivals across the world, however, we have little idea about these movies. We know that Iran, Japan, Korea and China are making good movies, still we don't know that other countries like Indonesia, Thailand, Syria and Palestine are also making quality movies. We need to know our neighbours and such festivals always give us opportunity to know diverse cultures across the world. What can be a better representative than cinema to know a culture?" Syed Ohiduzzaman Diamond's movie Gangajatra was screened in the Bangladesh Panorama section. It is expected that such initiatives of screening quality movies from the different corners of the world will be strengthened. Active participation from the government and other interested sectors can take the initiative of a film society of arranging an international film festival one step ahead. We still remember that under the government initiative a Dhaka International Film Festival was organised in April 1981, where 35 movies from 18 countries participated. However, it did not continue. Subsequently, another South Asian Film Festival was organised on occasion of the SAARC summit in 1985. Apart from these initiatives, the government has rarely involved itself with such activities. meanwhile a few other organisations in the country are also arranging an international short film festival, documentary film festival and short film festival. All these efforts should work together to shape the Dhaka International Film Festival parallel to prestigious festivals of the world that will present Bangladesh as a country that is capable of hosting international events that bring the world closer to us and vice versa.